Though there are many approaches to find largest number among two numbers. In this article, we will show you, How to write a Python program to find largest of Two Numbers using Elif Statement and Nested If statement. 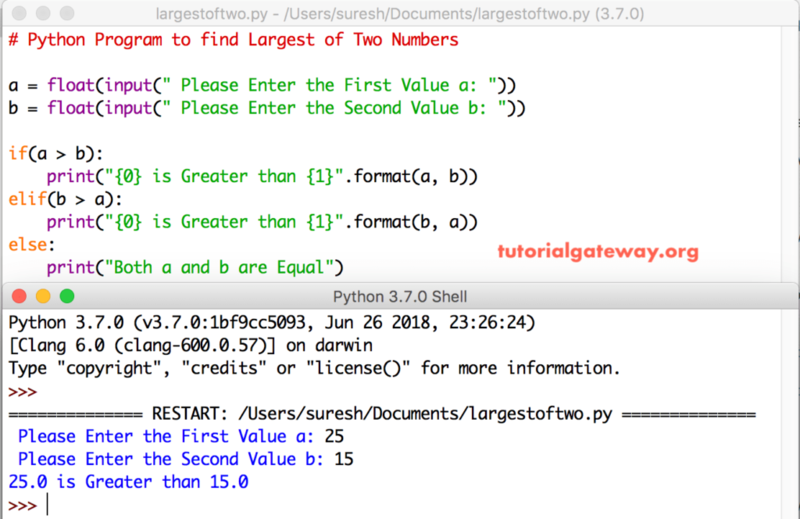 In this Python program, it will find largest number among two using Nested If. Within this Python Program to find Largest of Two Numbers example, First if condition check whether a is equal to b. Inside the Else block, we are using another if statement to check whether a is greater than b or not.